Norman Lee is hoping for big things from Sole Pretender after a cosy victory in the feature event at Ballinrobe on Friday evening. The Gold Well gelding quickened away smartly in the closing stages, under Jack Kennedy, to claim the McGrath Limestone Works Handicap Hurdle by four and a half lengths. The maiden hurdles on the card also produced a couple of impressive performances and Bercasa got things off to a fine start in the BetVictor (Mares) Maiden Hurdle. Tom Mullins’ filly cruised into the lead on the home bend and the 9-2 shot went away after the last for an easy 13-length success under the trainer’s son, David. Twelve lengths was the verdict for Cenotice in the following Mulholland Bookmakers Maiden Hurdle as he ran out an equally cosy winner. Sean Flanagan always had the 4-1 chance to the fore and Noel Meade’s charge powered clear going to the last to settle matters. Meade said: “He jumped good and did everything right. “He was disappointing in bumpers, but maybe he has turned the corner now jumping and on better ground. 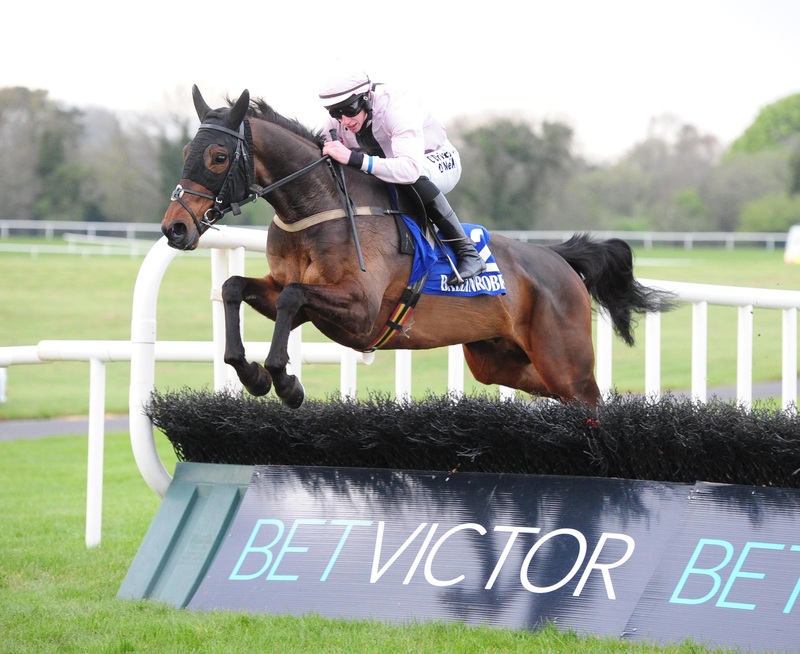 It was a lot closer in the BetVictor Handicap Hurdle as Maeve’s Choice prevailed in a driving finish. The Matthew Smith-trained filly came to dispute at the last, under Adam Short, but a mistake there put her on the back foot and she had to pull out all the stops to get up and beat Dorans River by a neck. There was a welcome winner for trainer Michael McDonagh when Fly De Megaudais came with a well-timed run on the run-in to claim the Killeen Sportsgrounds Handicap Hurdle. Darragh O’Keeffe got a good tune from the 16-1 shot as he provided his handler with a first success in over a year. “Badly needed” quipped McDonagh afterwards. Bioverdia looked a name to remember when proving another wide-margin winner, in the Racing TV Flat Race. Sent off the 201 favourite, the Gordon Elliott-trained newcomer stretched clear in some style up the straight to score by 12 lengths under Jamie Codd. The concluding bumper saw Willie and Patrick Mullins team up for a five-length triumph with Pont Aval (4-1).